Ashley Howie sold over 1.7 million in sales in 2014 and over 5.5 million in sales for 2015. In 2016 Ashley sold 9.5 Million in home sales, nearly doubling her volume in 2015 with 29 transactions. In 2017 Ashley closed 10 million in home sales with 25 transactions total. She was awarded top producer for Homequest Real Estate two years in a row for 2016 and 2017. Being young in a field where many agents have been working over 10 years+ allows Ashley to bring her enthusiasm, youth and new ideas to the industry. She uses Social Media for marketing in ways that other agents don’t. She understands the growing demand for innovation in the industry. She dedicates herself to her clients, being open for communication morning, afternoon and night, during the week and weekends. In 2017, Ashley completed the Masters program at the University of La Verne. She took the concentration in marketing to further her experience and knowledge when it comes to marketing the homes she sells and fulfill her goal of being a top realtor in the San Gabriel Valley. When I’m not negotiating contracts or showing homes, I’m spending time with my two huskies, gardening, and doing a bit of creative writing. 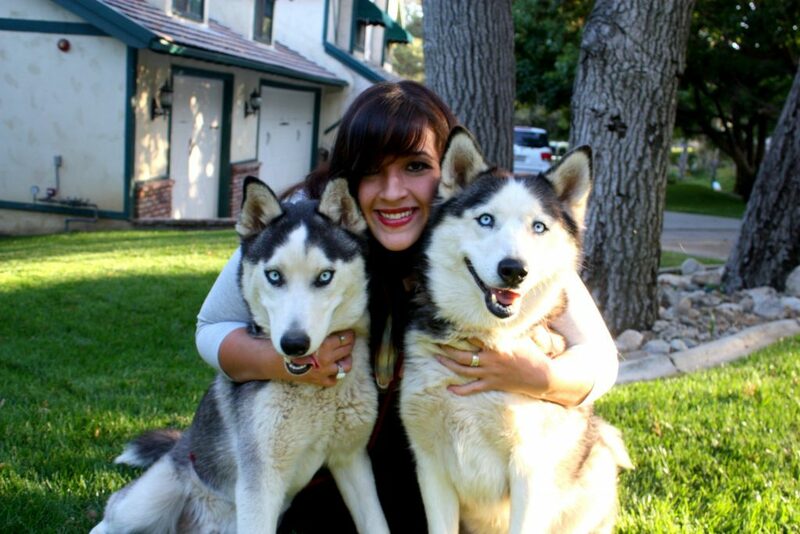 Ashley with her huskies, Loki and Lexi.